By David Ponce on 02/03/17 • Leave a comment! 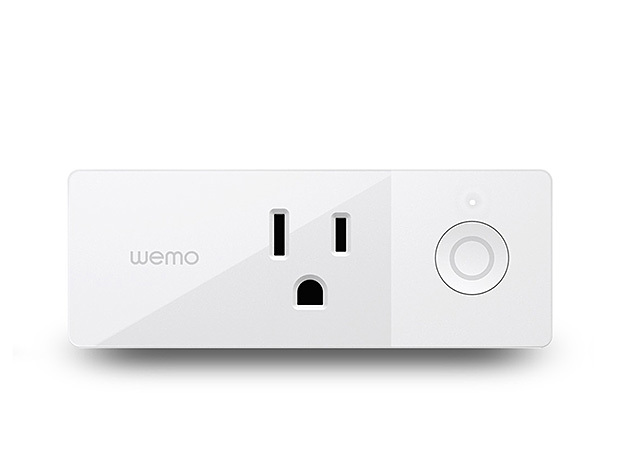 At $35, it’s not too far fetched to imagine decking out your entire home with WeMo’s Mini Smart Plug. Why? Well, it allows you to remotely control anything that’s connected through it. Each little device will connect to your home network through WiFi, and through the app you’ll be able to turn it on or off remotely. You can make it look like someone’s home, even when no one’s there. You can schedule lights, sync them to sunrise and sunset, or even randomize them… because why not. The nice thing about the WeMo Mini in articular is that it doesn’t require a hub, instead connecting directly to your WiFi. By David Ponce on 01/20/15 • Leave a comment! Think of NEEO as a universal remote on crack. It sounds pretty awesome, especially if your home is filled with AV equipment that you’re constantly struggling to control. It’ll set you back a $219 pledge on the Kickstarter campaign which is 1,000% funded at the moment. No joking, people are excited about this. By David Ponce on 11/25/14 • Leave a comment! Many people rely on cameras for home security, and surely it’s a good idea. But it has its drawbacks as well, such as making you feel like you’re being constantly watched, even if it is by yourself. 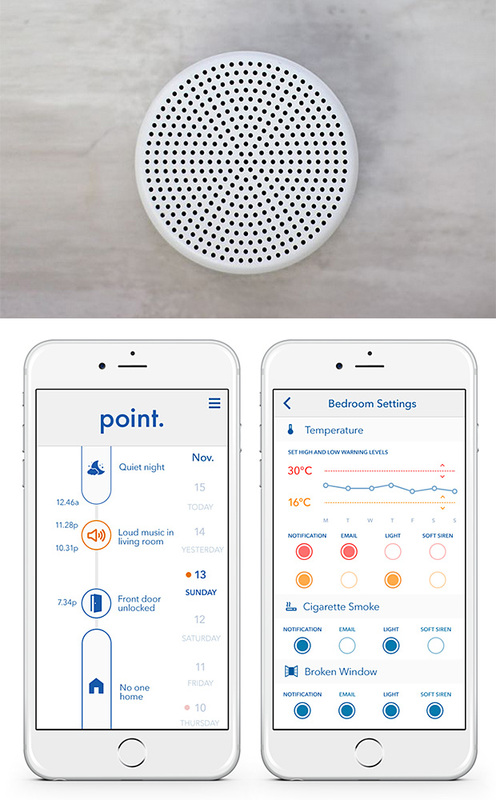 Point, from Scandinavian firm Form Devices (Scandinavian team, based in San Francisco, actually), tries to take a softer approach to home security by doing two things: listening and sensing the air. With these, it’s able to tell if a window has been broken, or if someone is smoking, or if the humidity suddenly went straight up (maybe a water pipe broke somewhere? ), and notifies you immediately. It can keep track of your home’s temperature day round, so as well as keeping your home safe it can help save you some money on energy bills. Point is also entirely customizable, so you decide which events trigger a notification. It doesn’t require complex wiring, only a yearly change of batteries. It connects to your WiFi network, and once setup can be completely forgotten, until you need it, of course. It’s a fully funded Kickstarter project, and a $79 will get you one. Shipping in July 2015. By David Ponce on 05/12/14 • Leave a comment! 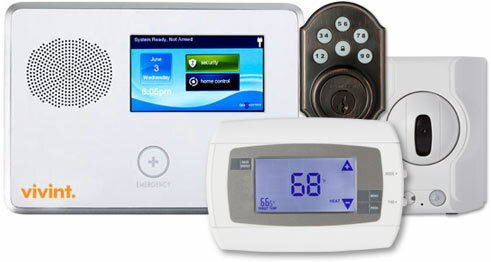 You may have bought a fancy Nest thermostat, but what about that AC in the guest bedroom that’s not connected to the rest of your home’s system? 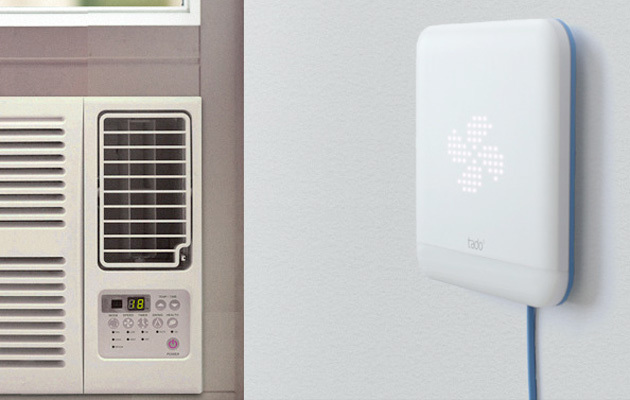 Tado’s smart thermostat allows you to communicate with it through IR, while itself connecting to the Internet and your phone with WiFi. What this means is that you can remotely turn your AC on and off, while setting up a geofencing functionality that will automatically turn the unit off once you’re a certain distance away. It’ll also automatically turn the AC on once you’re back inside that fence, pre-cooling your room while saving money when you’re away. Finally, the fact that it’s a connected device means you can track usage through detailed graphs, and obtain insight into your own usage patterns. It’s a $69 pledge to their Kickstarter campaign, with an expected retail price of $149. By David Ponce on 04/02/14 • Leave a comment! LED lightbulbs that can be controlled with your smartphone are nothing new. 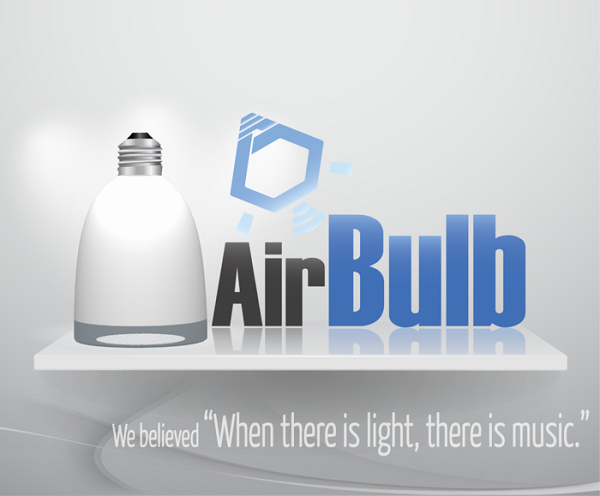 But the AirBULB adds one extra feature that could make a big difference when comparing similar products: it streams audio from your connected smartphone through its integrated speakers. This means you can have audio throughout your home without having to pass any cables anywhere. Granted you’re only getting a 3W output, but that should be sufficient for some background music. The LED bulb’s colour can be adjusted through the app, and it can be set to flash when you get a call or notifications. An $89 pledge will get you yours, with shipping expected around May if the campaign reaches its funding goals. By David Ponce on 01/27/14 • Leave a comment! The headline makes the product sound kind of weird, but it’s when you start looking at the usage scenarios that you realize it’s actually pretty cool. You’re looking at a self-contained home entertainment unit that can be moved around in your home. 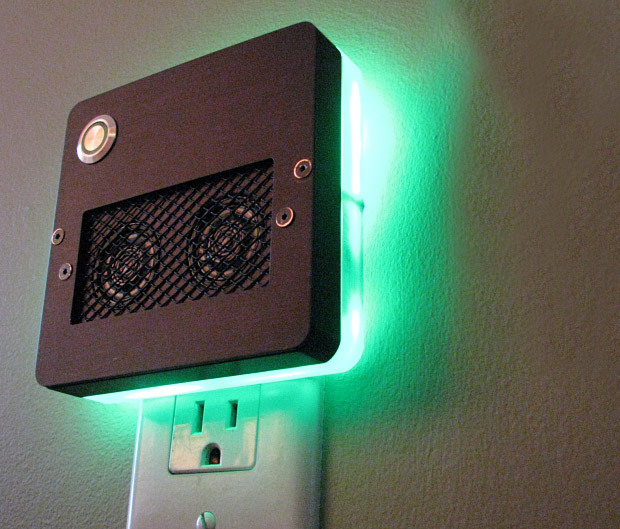 This means you can direct it to your living room, where it’ll project your movie onto your wall or screen, along with some sound from its built-in speakers. You can then direct it to your bedroom, where it’s able to project a 360° image (of the starry sky for instance). That’s something that could help put the kids to sleep, or at least provide you with some engaging educational material. 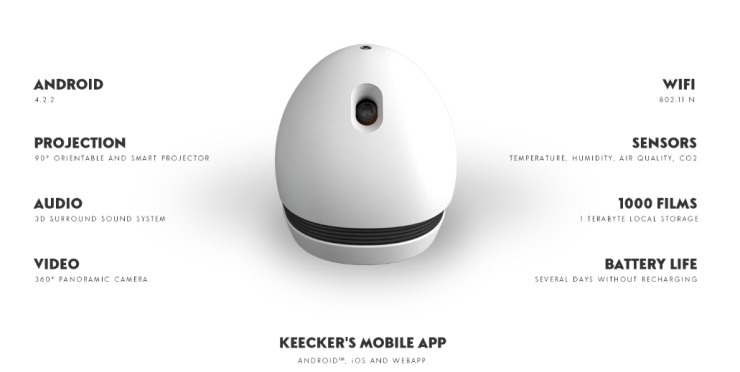 At the same time, you can use the Keecker to check up on them and make sure everything is ok, since it has a built-in webcam as well. Additionally, it syncs with your Android smartphone and not only lets you stream music to it, but also play games that are on your phone, projected onto your larger screen. There are sensors in the machine that monitor “temperature, humidity, CO2 levels and more” to provide you with remotely accessible home security. It does so much stuff, we’re surprised it doesn’t also make sandwiches. Especially since you’ll have to pay $4,000 to own it, it wouldn’t’ve hurt anyone to toss that extra feature in. Oh well, nothing is perfect. By David Ponce on 09/13/12 • Leave a comment! So I didn’t get fired from my gig at HP. This makes me happy, but it also means that whenever I have an article up, I get to tell you guys about it. Those articles are longer, more researched and generally fun to read if you’re into the more intellectual sounding stuff. This time around it was about home automation, and to find out what I came up with, you just have to click below. By Muna Breitem on 08/22/12 • Leave a comment! They call it “Ubi” because it’s meant to be a ubiquitous, essential and seamless part of your home environment. Just plug this tiny Android-based computer into a wall outlet and a WiFi chip will allow it to get online. From there it’s a matter of talking to it, and waiting for its answer. What can you expect from it? Well, the limit’s really in the programs that become available for it, but it will ship with: the ability to take notes, do web searches, give you access to recipes, control the climate of your home, serve as an alarm clock, and more. It’s running Android 4.1 Jelly Bean on an 800 MHz ARM Cortex-A8 processor with 1GB of RAM, which should be enough for its intended use. There’s temperature, humidity, and air pressure sensors, as well as an ambient light sensor. All of these, along with its many other components, make Ubi the kind of device that would fit right into the home of one who seeks to make technology an integral part of his life, rather than an awkward add-on. It’s $189, but hurry because almost all pre-order slots have been filled. It ships in February.